Last night, Channel Ten TV News’s Raviv Drucker exposed a letter written to Benyamin Netanyahu in early 2009. The author, one Yisrael Yagel, a former executive in Netanyahu’s 2008 election campaign, penned an indictment of the Prime Minister’s management style, with particular emphasis on the role and influence of Ms. Netanyahu (“the Boss”). I have been in possession of these letters for more than a year. It was not Yagel who gave them to me. But it was Yagel who urged me not to publish them. After I got to know him, I made a very unreporterly-like decision and acceded to his request. I tried repeatedly to describe in this newspaper the dangers of the prime minister’s behavior. The weakness of his working environment. And most importantly: the degree to which the prime minister’s wife was involved in making most of the decisions, small and big, the power she wields, the terrible fear he has of her, the fact that some of the prime minister’s employees, who are actually our employees, are really her employees and are subordinate only to her will. The sourcing, as is usual in the Israeli media, is poor. It appears that Maariv’s Eli Bardenstein was on some sort of government junket in Turkey. Over the past few days, other Israeli journalists posted status updates from Istanbul. The full translation of his report is at the bottom of the post, along with the Hebrew original. Here’s the important section, though it’s difficult to diifferentiate between reporting and analysis. Israel will not be able to remain over time an independent country, and a bi-national state will be established on all of the area between the Mediterranean Sea and the Jordan River in which Jews and Palestinians will live,” said Turkish Foreign Minister Ahmet Davutoglu in a number of meetings that he held with journalists and academics, including a number of Israeli academics. Davutoglu’s vision, which he revisited a number of times, is for Turkey to become a dominant force in the Middle East and further, that it will be the protector state of the above-cited bi-national state within a number of years. Davutoglu, a professor of international relations, is considered to be the principal ideologue of the AKP, the party that is headed by Turkish Prime Minister Recep Tayyip Erdogan. In the course of the meetings with academics and journalists, which were held prior to the eruption of the recent crisis between Turkey and Israel in the aftermath of the flotilla to the Gaza Strip and the killing of nine Turkish nationals on board the Mavi Marmara, Davutoglu said he did not believe that Israel would be able to sign peace agreements with its neighbors, including the state that is to be formed in the area of the Palestinian Authority. The central idea that was put forward by Davutoglu, which he has been trying to promote by means of a number of journalists and Turkish government officials, is that Israel as an independent state is illegitimate in the region and, as such, is destined to disappear. That assessment is rooted in a deeper ideology that aspires to restore to Turkey the historic influence it wielded during the era of the Ottoman empire, which ruled the Middle East for close to 400 years. Davutoglu said on a number of occasions that he believed that peace would be restored to the Middle East only in the wake of deep and substantial Turkish intervention. In other words, Davutoglu and Erdogan aspire to set a new regional order — Erdogan by means of populist rhetoric and closer ties with Turkey’s neighbors, Syria and Iran; Davutoglu by means of promulgating the ideological basis. This new order, as noted, has no room for Israel as an independent state. Both Erdogan and Davutoglu have been advancing a policy that promotes closer ties with Syria and Iran, and moves away from the West. Davutoglu added in his meetings with the journalists and academics that the historic powers, (Britain and France) which conquered the Middle East from the Ottomans, are the ones that are responsible for the difficult situation that currently reigns in the Middle East, since they drew the borders in a way that suited their own political and military interests, without taking into account the demographic affiliation of the region’s residents. Turkey – “Israel will not be able to remain over time an independent country, and a bi-national state will be established on all of the area between the Mediterranean Sea and the Jordan River in which Jews and Palestinians will live,” said Turkish Foreign Minister Ahmet Davutoglu in a number of meetings that he held with journalists and academics, including a number of Israeli academics. Davutoglu’s vision, which he revisited a number of times, is for Turkey to become a dominant force in the Middle East and further, that it will be the protector state of the above-cited bi-national state within a number of years. Read this one in full. Alex Fishman is Yediot’s veteran defense analyst. Besides providing a detailed post-mortem of the latest fiasco in US-Israeli diplomacy, he makes a very blunt allegation: Netanyahu is selling out the IDF’s self-defined strategic interests and the good will of the US administration in order to buy political time. In the economic jargon that Netanyahu loves to use, this would be called paying for recurrent expenditures with the proceeds from the sale of national assets. And so the time passes. In the meantime, there is no talk about a crisis in Israel-US relations, but rather a malfunction. If this goes on, the malfunction is liable to turn into a diplomatic catastrophe, if not a security catastrophe. People in the Ministry of Defense are worried. The National Security Council, headed by Uzi Arad, department officials were informed, is quietly preparing a position paper on a uniquely sensitive subject: an Israeli proposal for a strategic defense alliance with the United States. It turns out that the IDF is really not interested in the deal, which would mean among other things significant limitations on Israel’s independent ability to act against threats near and far. But this is not the only reason that department officials are suspicious of Arad’s secret document. For many months, together with the Americans, they have been crafting a basket of security guarantees for the coming 20 years, to the tune of USD 20 billion. All of a sudden unnecessary, discordant plans are being shoved at them — coming from the direction of the prime minister —that talk about a defense alliance that does not link up with any clear and consistent policy which also has some sort of goal at the end. The strange story about the alliance that is being cooked up in the Prime Minister’s Bureau is reminiscent of another strange story: the strange connection between the deal for F-35 aircraft that is scheduled to come to fruition in 2017 (!) and Israel’s agreement to freeze building in the territories for another three months. What possible connection is there between the defense deal, which is part of America’s traditional commitment to retaining Israel’s military superiority, and the building freeze? That’s it, there is no connection. Both of these strange stories have one common denominator. The person behind them knows full well that creating a defense alliance would require a very problematic and complicated political process in the United States, including approval by both houses of Congress, and the chances of such a proposal ever being actualized are not terribly high. Just like he knows that President Obama’s commitment to give Israel a present of 20 planes, at a cost of more than USD 2 billion on top of Israel’s annual aid package, is essentially impossible in today’s economic climate. The president will have to explain to his constituents exactly why he is distributing presents abroad at a time when factories are closing in Detroit. It’s almost an invitation for political suicide. And the fellow who prepared this trap for him — the prime minister of Israel — knew exactly what he was doing. Netanyahu is doing everything he can to buy time, to postpone the end and to get out of making a decision about the future of the process with the Palestinians. So Netanyahu promised the public that if there are no gifts — there will be no negotiations; the Americans don’t know what gifts he’s talking about, and now Israelis are racking their brains trying to figure out how to word a statement that will get the prime minister out of the trap he got himself into. So they are talking about the possibility that the Americans will give a grant that will cover part of the cost of 20 aircraft, with the rest to come out of Israel’s foreign aid package. In any event we are only talking about 2017. In the meantime, Israel-Palestinian talks are frozen. How did Israel get itself into this dangerous jam, which links the basic American commitment to Israel’s security to negotiations with the Palestinians? It turns out that eight months ago, Vice Chairman of the Joint Chiefs of Staff General James E. Cartwright, met with Director of the IDF Planning Branch Maj. Gen. Amir Eshel. Around the same time, senior IDF officials visited the Pentagon. The goal of the intensive meetings was to map out Israel’s security needs and to create a joint package that would answer the threats Israel is likely to face in the coming 20 years. What the Oslo Accords were about, from the mouths of babes. Literally. The second season of the Israeli version of the reality show Beauty and the Geek is an even bigger hit than the first. Not least because the producers constantly prove that, in Israel 2010, reality outdoes satire. In the second episode, broadcast Tuesday evening, the girls are quizzed in the Channel Ten TV News studio on the Israeli-Arab conflict by high-brow interviewer Yaron London and mythical Palestinian affairs reporter Yoram Binur. Most of the section is heart breaking. At one point, however, viewers are treated to a dose of honest wisdom that would never be broadcast on a “serious” venue [watch the entire episode here; the passage translated below starts at 48:14]. Yaron London: We’ve talked enough about wars. Let’s talk about peace. What’s the difference between the Oslo Accords and the Road Map, Lital? Lital: The Oslo Accords were an agreement that was meant to give them the feeling that at end of the day they will have a state on their own lands. But it didn’t really happen. London: Meaning that we were cunning…is that what you’re saying? Lital: We were…a kind of hoodwinking. 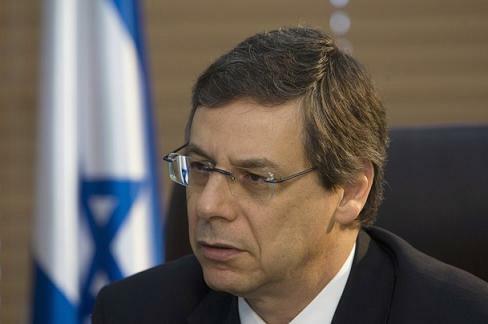 At least three top Likud figures who were briefed recently by officials very close to Netanyahu on the talks with the Americans, on the letter that has not (yet) been written, on the promises that were not made and the stealth bombers that stole away, say that the prevalent view in the Prime Minister’s Bureau about the US administration is that it is “not a credible administration.” That is the reason, these sources say, for Netanyahu’s insistence on receiving the promises in writing. And that is the reason, say these sources, that some of the promises that Netanyahu heard from the Americans evaporated shortly afterwards. Netanyahu’s bureau has an original technique for marketing its messages: Briefings are emailed every few hours to reporters and commentators. The condition is that the information not be attributed to Netanyahu, his advisers, his “surroundings” or his “associates.” This way, the Prime Minister’s Bureau achieves broad circulation for its messages without having to answer questions and without taking responsibility for the facts. It is a wonderfully convenient technique. The problem is that in the absence of a father, the facts tend to run wild. The impression that was created upon Netanyahu’s return from the United States was that he had obtained a commitment from the administration to accept Israeli construction in East Jerusalem. It later became apparent that there was no such agreement. The impression that was created was that after a 90-day freeze, construction would be resumed everywhere, with the blessing of the US administration. Such an agreement was not reached. The impression that was created was that the administration consented to support the continued Israeli control of the Jordan Valley. Such consent was not reached. The speed with which the list of American commitments shrank is reminiscent of the classic story about the Jew who wished to send a telegram to his relative in America. The cost of the telegram was based on a charge per word. Each word cost a fortune. The man decided to omit every unnecessary word from the telegram. By the time he reached the mail counter, his telegram had no words left. Against this background, attacking Obama’s credibility is the logical next step. One spin creates problem A, which a second spin attempts to solve, creating problem B. If short-term image issues, compounded by media amateurism, guides management of the ’strategic relationship’. We can only hope that’s not the case when decisions are made on if and when to go to war. Just in case, it might be a good idea for pundits to stop making fun of Netanyahu over Iran. National Security Adviser Uzi Arad sat in the “Meet the Press” studio and handed out grades to the Americans. Obama’s administration, Arad said, began its battle against the Iranian nuclear program with a “policy of smiles” and believed the Iranians’ talk, “but then sobered up.” In principle, Arad is right. In practice, he isn’t supposed to say that on television. After all, even without this, the Americans don’t much like us. International diplomacy is built on lies and half truths and in the delicate relationship between Israel and the US this week, there was no reason to give the Americans another reason to get annoyed at us. But every time that it seems to us that we’ve reached the bottom of the barrel, something happens and proves that we’ve still a long way to go before we get there. This something was the decision yesterday to send Arad to the studio. Perhaps because there was nobody else left to send. The Israeli media provided superficial reporting of Lieberman’s acceptance speech, with only generalities regarding his hard-line positions diplomatic issues coming through. IBA Radio’s diplomatic correspondent, Shmulik Tal, a diligent government stenographer, was more thorough, relaying other elements of the acceptance speech. If the name Sykes-Picot doesn’t ring a bell for you, then you probably didn’t go to an Israeli high-school in the ’80s. I did and there is no chance that I will ever forget the names of these two obscure diplomats. The history curriculum was heavily focused on the origins and development of Zionism. To make it successfully through matriculation, one had to remember an awful lot of details from the early 20th century. If you’re a poor memorizer like me, systems are important. Regarding diplomatic history, I had a simply structured chain, resembling the verse of a Dry Bones song. The establishment of the State in 1948 was the “head bone” and everything started in 1916 with the “toe bone” — the Sykes-Picot Agreement, which carved up the Ottoman Empire between Britain and France. Those are the only two hyperlinks in the document and they both lead to Foreign Ministry renditions. With slight modifications, the Sykes-Picot Agreement drew the map of the British Mandate. Destruction of internationally recognized borders has become a characteristic of de facto Israeli foreign policy. The 1967 borders, recognized by UNSC 242, the Algiers Declaration and the Arab Peace Initiative, have all but disappeared under the weight of the settlements and the separation barrier. That line is also being wiped away by the reopening of 1948 in places like Sheikh Jarrah and Ajami. Still, to a layman, Lieberman’s latest revisionism appears to be exceptional. When Israel annexed the Golan Heights, Prime Minister Begin cited recent events. Even the “Jordan is Palestine” idea is premised on the Mandate borders. It seems that previous generations of Israeli leaders understood that de-legitimization of the “arbitrary” Sykes-Picot Agreement is a two-way street. The Israeli-Lebanese border, for example, is obviously “a mistake.” Demography suggests a route further to the south, topography — one further to the north. But that’s not the least of it. When was the last time you heard a Zionist use the term “imperialist”? You probably haven’t, because over much of recent history anti-Zionism has been closely associated with anti-imperialism. I’m increasingly hesitant to position myself or others in relation to Zionism because it has become a very ambiguous term. 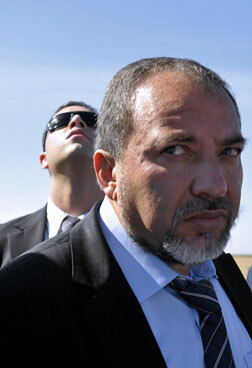 Lieberman, however, is clearly an anti-Zionist, at least as generations of Israelis were taught to understand the term. “Combating de-legitimization” is the flavor of the year in pro-Israel advocacy. Abe Foxman of the Anti Defamation League is leading the charge in the US. But who is a bigger “de-legitimization” threat: Israel’s radical Foreign Minister, or one of his favorite targets, an organization of young Jewish-Americans protesting the occupation?